Recently LoveToKnow had the opportunity to discuss Depression glass with expert Carolyn Robinson, owner of White Rose Glassware and a board member of the National Depression Glass Association. LoveToKnow (LTK): How did you first become interested in Depression glass? 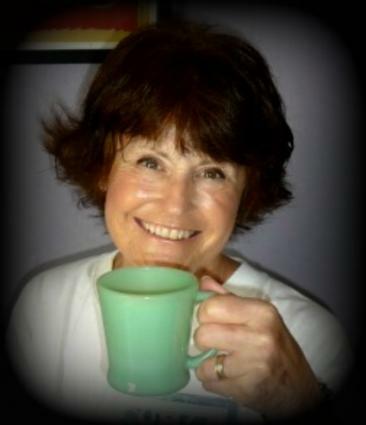 Carolyn Robinson (CR): I've been collecting Depression glass with my husband, Glen, for 39 years. What started out as a favorite pastime for us soon developed into a much-loved business. We've enjoyed being Depression glass dealers since 1976. Selling, meeting new people and the thrill of a rare find are just three exciting aspects of our industry. My love for Depression glass started when I was growing up in Galax, Virginia. My mom and dad showcased different Depression glass collections throughout our home. I thought it was so neat to see how excited my parents got when they found a piece that fit right into one of their collections. My mom displayed her glass in china cabinets and talked about the different pieces, patterns and what they were used for in the 1930's, during her childhood. We'd get up early and scope out flea markets and estate sales, digging through endless boxes. For me it was like a game, an awesome game I could play for the rest of my life. Luckily , my mom passed down some of her prized Depression glass collections to me, thus fueling our passion for collecting more. We wanted a way to find those rare, hard to find items for our personal collection while selling the extra glass we had acquired; becoming Depression glass dealers was the perfect fit for us. LTK: Do you have a favorite piece in your collection? CR: I have lots of favorites, but my absolute favorite piece is the Jadeite coffee mug that I use every day. LTK: In 39 years of collecting and selling Depression glass you must have seen some unusual pieces. CR: We've seen some amazing pieces of Depression glass but one of the rarest is the Pink Cherry Blossom cookie jar that was on display at one of the NDGA Conventions. There really is a difference between rare glass and hard to find glass. Rare glass is a piece that was only made a few times. Most every Depression glass pattern has one or more pieces within the pattern that are hard to find. But that does not make those pieces rare. With time and a lot of searching, most pieces within a pattern can be found. Rare pieces of glass are hardly ever seen because only a few of those pieces were made. LTK: How did Depression glass get its name? CR: The Great Depression started with the stock market crash of 1929 and ran through 1930s. Depression glass got its name because it was the glass that was made during that time period. This glass was mass produced by machine in bulk and sold through five and dime stores or given away as promotional items for other products of that time. Depression glass was often packed in cereal boxes, flour sacks, or given away as gifts at the local movie theaters, gasoline stations, and grocery stores. It helped bring families together at mealtimes and added a bright spot of color through those darkest of times. LTK: What colors does it come in? LTK: Are there some pieces that are more desirable than others? CR: Yes, although desirability depends on personal preference of the collector. Some people collect water sets, some people collect plates for wall displays, some people collect salt and pepper shakers, some people collect whole Depression glass sets. Collections fit the personality of the collector. LTK: How can a novice collector identify authentic Depression glass? CR: There are many wonderful books on the market that can help with the identification of Depression glass. Most of these books have a section on reproductions. 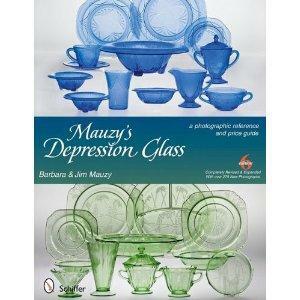 For example, Mauzy's Depression Glass, by Barbara and Jim Mauzy, is an excellent book on the subject. Attending Depression glass shows and talking with experienced Depression glass dealers is a great way to learn about Depression glass, too. Most of these shows are promoted by Depression glass clubs across the country. Joining one of these clubs can be very helpful as well. LTK: Is it safe to use Depression glass? CR: Yes, Depression glass is safe to use. It's not meant to be placed in the microwave or in ovens or on top of ovens. LTK: What should collectors look for? CR: You should buy only Depression glass that you like. It doesn't matter if it's the most expensive pieces or the most popular, it's what each individual likes. Everyone has her own personality and so does the glass and collecting glass. Collectors should only buy what is considered "mint" glass. This is glassware that has no chips, scratches, or repairs of chips. Glass is very expensive, so making sure to look for good quality of glass - this is very important. Before buying glass, ask the dealer to point out any imperfections or repairs. A reputable dealer will be glad to help and answer any questions of the collector. LTK: How should the glass be cleaned and stored? CR: Occasional cleaning glass in the dishwasher does not hurt the glass. I personally wouldn't wash it every day in a dishwasher. I like to display glass where it can be enjoyed. If it has to be stored, wrap each piece individually in plain paper, cloth or bubble wrap and store in cardboard boxes or plastic containers. Sudden temperature changes can cause the glass to crack or break so try to store the glass in areas where the temperature remains constant. LTK: Why is Depression glass so fascinating? CR: Depression era glassware is a very important part of the history of the Depression Era. Through organizations like the NDGA and various Depression glass clubs across the United States, this heritage is being preserved. Grandparents, aunts and uncles, mom and dads discussing the family history of this beautiful glass and passing it down can tie these generations together through their collections. Today, couples and entire families collect Depression glass. Parents, as well as children, enjoy spending time together searching out their treasurers. It's very much a family affair. The pretty glass that brought families together during the Depression Era continues to bring families together today. For more information about this beautiful and popular collectible check out the National Depression Glass Association. You can see some of Carolyn's collection and the pieces she has for sale at White Rose Glassware.